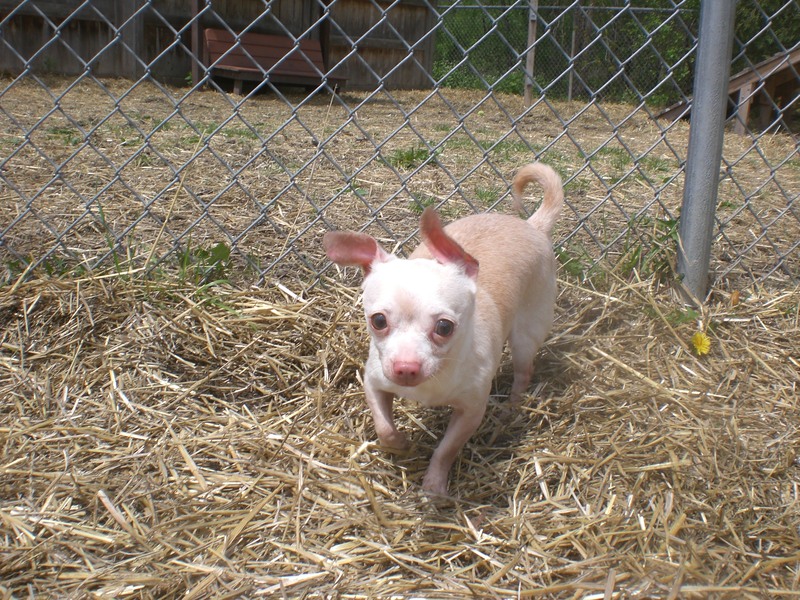 There are plenty of dogs at Orphans of the Storm® who are hoping that the warm weather brings out warm people with some extra space in their hearts and their homes! 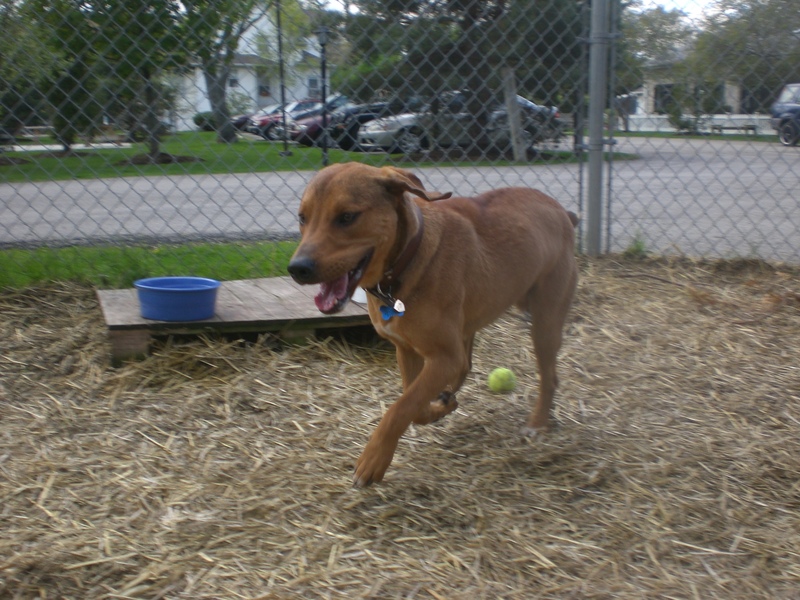 Bear the one-year-old Mountain Cur mix is quite the cutie. This guy is still a puppy in my book, and he certainly acts like it. He gets excited about pretty much everything and that tail of his is almost always wagging. We hurried our way over to the off-leash run and he had such a fun time running around and racing the dog on the other side of the fence. He even chased after a toy I threw, though he didn’t quite understand the concept that he was supposed to bring it back to me. Bear just loves getting attention, and he particularly likes getting his hips scratched. He’ll turn his head all the way around and try to lick your hand while you pet him, all while doing a little happy dance. He gave me a couple of quick doggy kisses, but mostly he was interested in walking around and exploring. Bear would love to have a family who will take him on nice walks around the neighborhood every day. 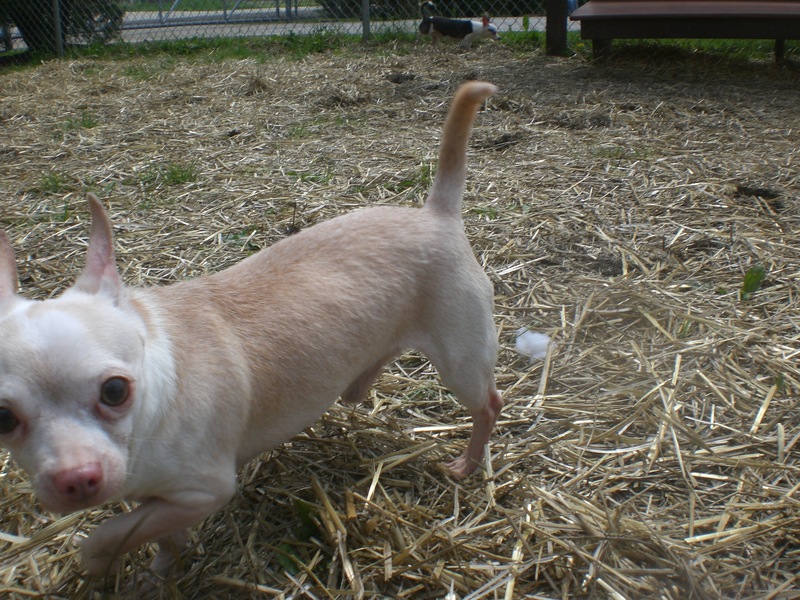 If that sounds like your kind of pooch, come in soon to meet Bear! 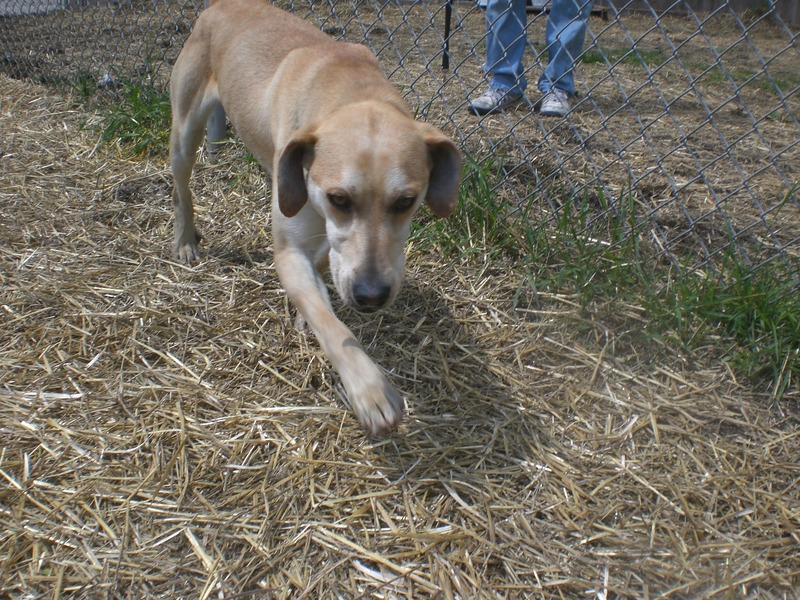 Bo the eight-month-old Plott Hound mix is another puppy, but he acts a bit older than his age would suggest. He walked well on the leash and wasn’t overly excitable, though it was clear that he was having a good time being out and about. He was friendly with the dog on the other side of the fence, politely sniffing and then moving on. 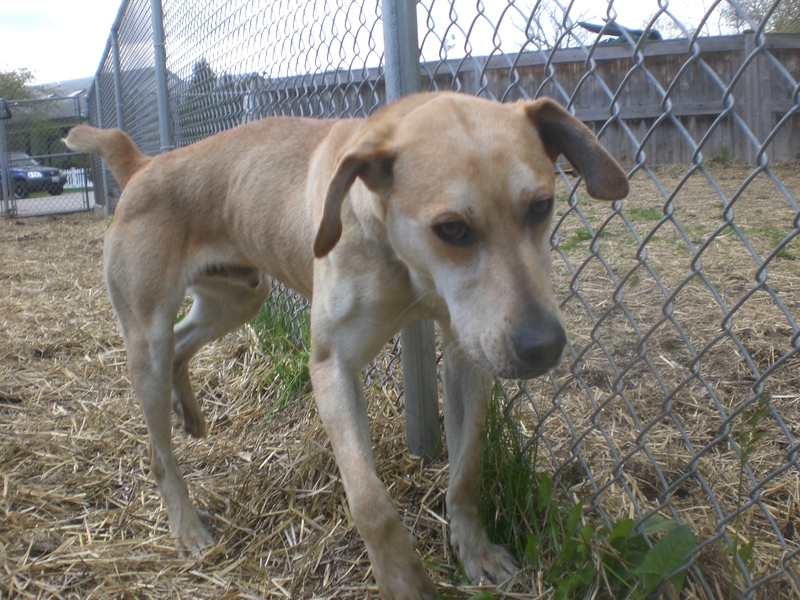 Bo could use a few good meals and extra treats to put some more meat on his bones. Bo is almost like a cat with the way he rubs against people. When we got to the off-leash run, rather than running around he started rubbing against my leg until I leaned over to pet him. When I went to sit down on the bench, he followed and leaned against me some more. This is an affectionate pooch who just wants to be somebody’s companion. 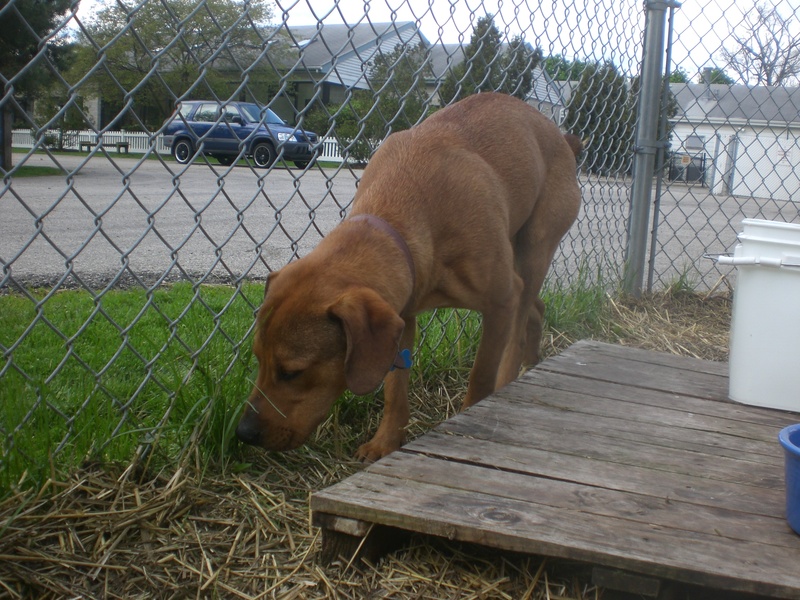 If you’re looking for a pup with all the right stuff, stop by the shelter and say hello to Bo! 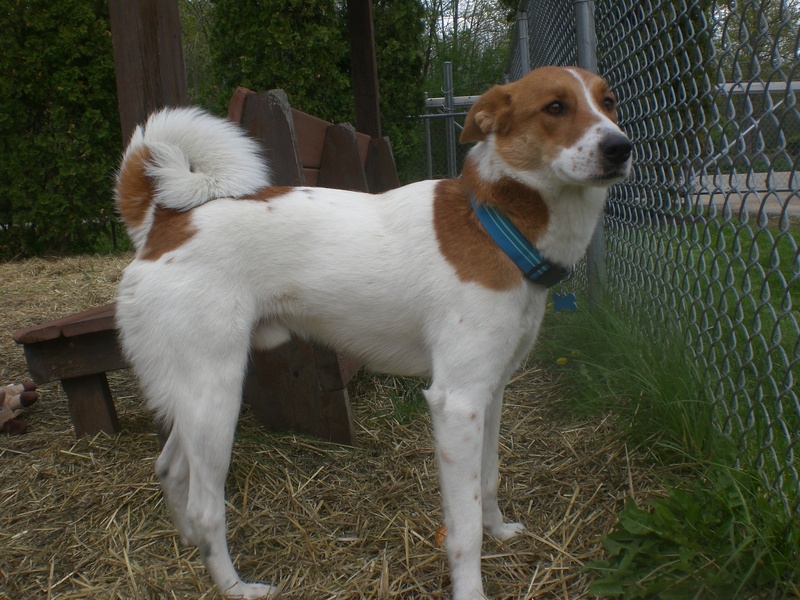 Grover the two-year-old Irish Red and White Setter mix is probably one of the most handsome dogs at the shelter right now. He has a unique look with his white-and-red fur and curly tail, and he was definitely catching everyone’s eye when we went out for our walk. He was a little shy at first and not too sure about walking on the leash, but after a few minutes he got more comfortable and warmed up to me. Grover, once he was over his shyness, seemed to get along with everybody. A potential adopter stopped inside the off-leash run with us and Grover started following her around, waiting for her to turn around and pet him. When he saw that I sat down on the bench, he jumped up next to me and gave me some sweet doggy kisses while I scratched his neck. A dog with looks as good as Grover’s isn’t going to be at the shelter for very long, so come in soon and find out if he’s the one for you! Nacho the five-year-old Chihuahua mix and Zorro the four-year-old Chihuahua mix are almost too precious for words, but I will do my best! These two little guys are so eager to greet everybody who stops by their kennel–they’ll stand up on their hind legs and almost look like they’re waving! 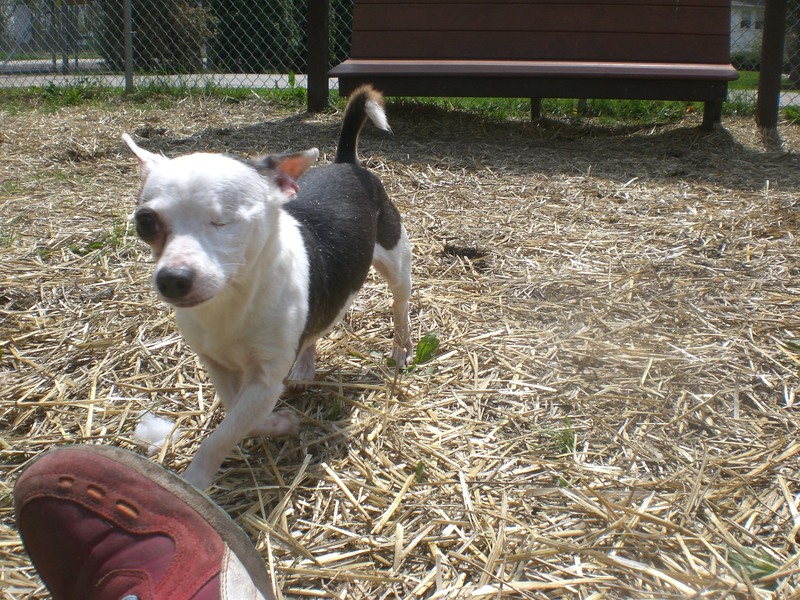 Zorro may only have one eye, but that doesn’t slow him down in the slightest. They didn’t particularly like having the leashes put on over their heads, but we eventually made it outside and they walked just fine once they were used to the idea. 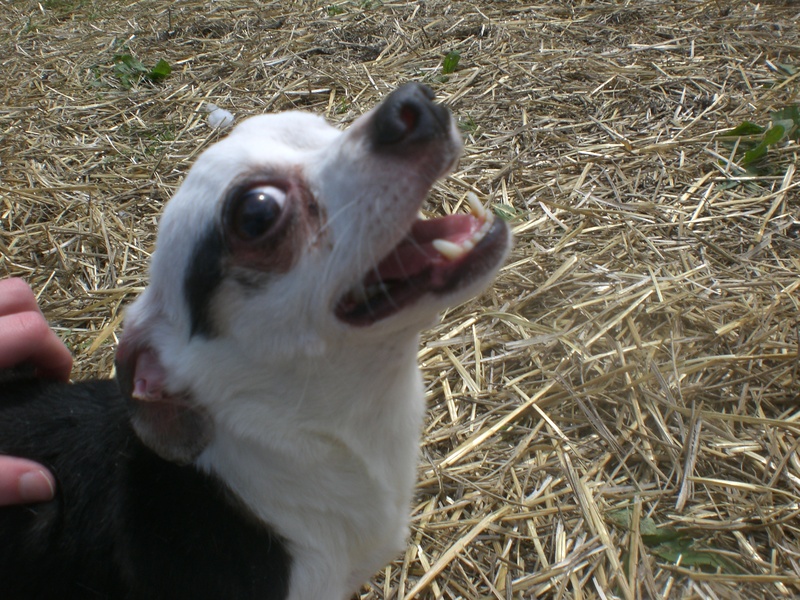 Nacho and Zorro are both complete lap dogs who seem like they would rather be carried around (however, as tempting as it may be to just carry them everywhere, it’s always good to let even little dogs take regular walks!). In fact, I ended up carrying them both–one in each arm–on our way back to the kennel. Both of them were perfectly fine with being picked up by a stranger; they even gave me kisses! When I tried to put them back in their kennel, they kept jumping into my lap and making themselves comfortable. Nacho and Zorro have grown up together and would love to be able to go to their new forever home together. They literally do everything together: they climbed into my lap together, they drank from the water bowl together–they even went potty at the exact same time, multiple times! Luckily, these two cuties are small enough that they can easily share one lap. 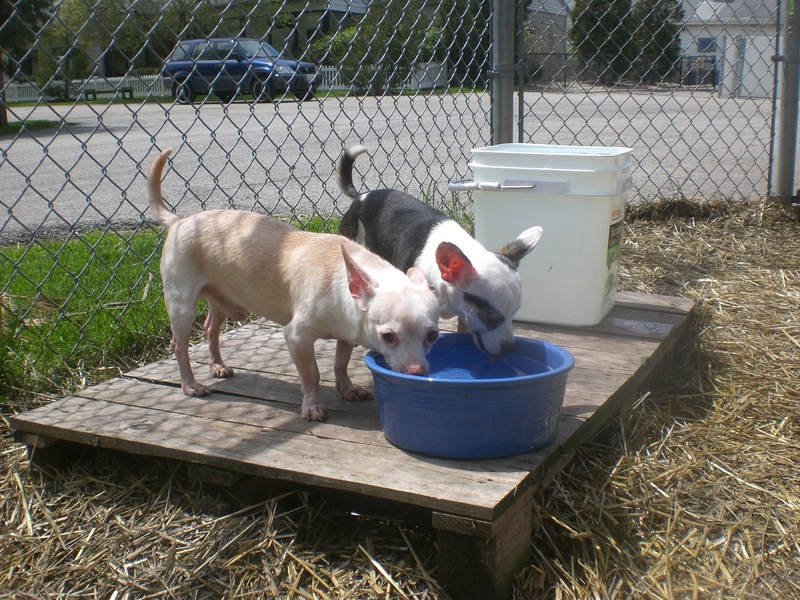 If you’re looking for two snuggly additions to your family, definitely stop by to meet Nacho and Zorro! I also saw my furry friends Archie, Rosco and Wilbur, Dezzie, Emerald, Molly, Clint (who was on his way to the Pet Showcase at Northbrook Court! ), Ryla, Shasta, and Topaz. 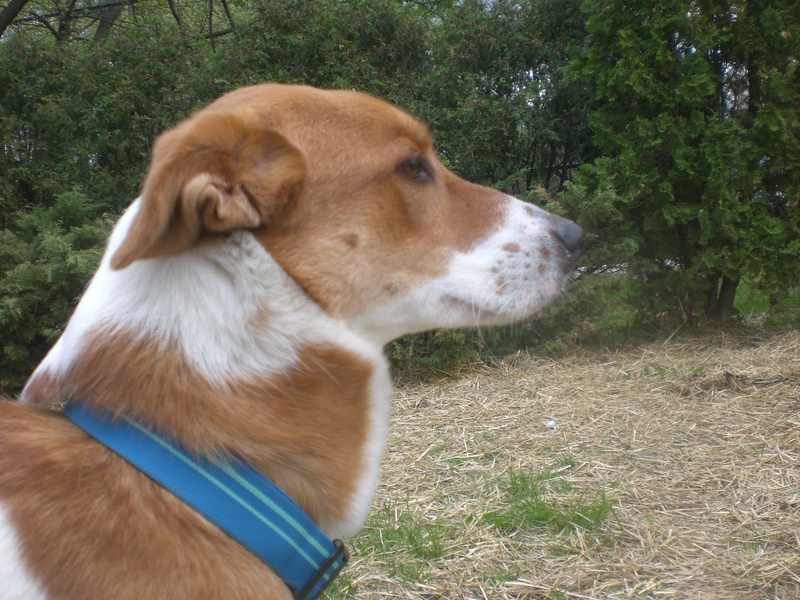 Posted by Meet the Pooches on May 22, 2014 in Dog Profiles and tagged adopt, animal shelter, animals, Chicago, Chihuahua, dogs, Irish Setter, Mountain Cur, Orphans of the Storm, pets, Plott Hound.